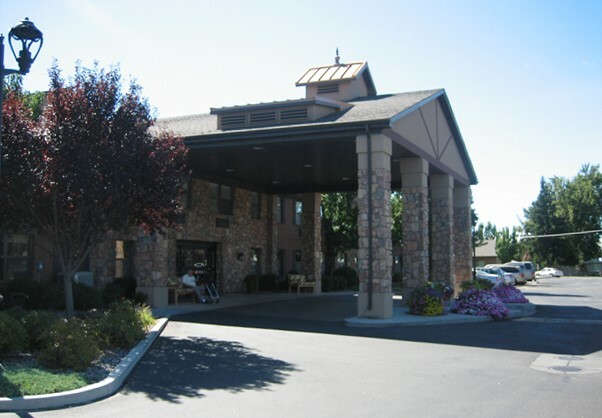 Walker & Dunlop, Inc. (NYSE: WD) (the “Company”) announced today that it structured a complex pair of refinance loans totaling $29,788,000 for a continuing care retirement community (“CCRC”) consisting of a skilled nursing facility and an independent and assisted living complex in Boise, Idaho. This unique financing structure required two different lenders to fund two separate loans for one property with one existing mortgage. Garden Plaza of Valley View and Valley View Skilled Nursing Facility make up the combined CCRC; Fannie Mae financed the independent and assisted living portion and the United States Department of Housing and Development (HUD) placed the debt for the skilled nursing facility. Walker & Dunlop adeptly navigated the intricate specifications of both HUD’s independent living unit requirements and Fannie Mae’s restrictions on skilled nursing revenue. The Company’s team was able to create a condominium structure to ensure the property qualified for HUD skilled nursing financing as well as a Fannie Mae assisted living and independent living loan. In addition, an equity recapitalization component was included in the Fannie Mae debt. The Company structured a $9 million loan with a 35-year, fully amortizing term for Valley View Skilled Nursing Facility using HUD’s Section 232/223(f) program. This program provides lenders with the Federal Housing Administration’s mortgage insurance to protect against losses when refinancing nursing homes, assisted living facilities, and board and care facilities. The CCRC’s skilled nursing component was built in 1986 and consists of 24 private and 40 semi-private units. The loan executed with Fannie Mae for Garden Plaza of Valley View was $20.8 million with a 10-year term, followed by a 30-year amortization schedule. This portion of the CCRC, containing 142 independent living and 51 assisted living units, was built adjacent to the existing skilled nursing facility in 1992. Substantial renovations to the CCRC were completed in 2009, including common area upgrades, new roofing, and the addition of a physical therapy building. The campus is centrally located in the state’s most populous county, just minutes from the Boise Towne Square Mall and adjacent to the St. Alphonsus Regional Medical Center.